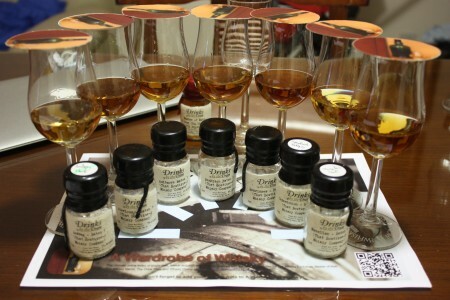 Read stories about Benriach of A Wardrobe of Whisky blog. 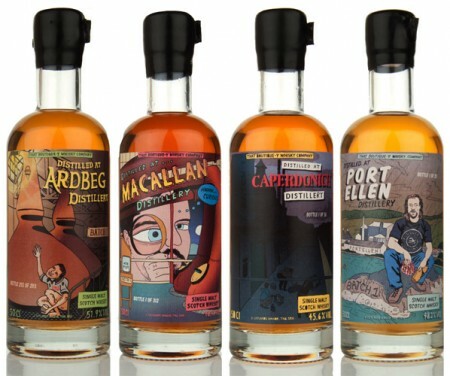 The guys at CaskStrength are aboard the task of bottling a whisky for every letter of the alphabet, so after a very nice Arran whisky they have bottled this Benriach and recently a cask strength Cutty Sark and a vatted whisky of three distilleries starting with letter D… wisely named 3D. This single cask whisky is the second release from Caskstrength.net and represents the "B" in their A-Z of drinks. Released in conjunction with BenRiach, this rich and powerful dram was distilled in 1996, aged for 16 years, and bottled at cask strength (55.2%). It comes from one cask (5614) and thus has a limited release of only 296 bottles. Nose (89): more than average. honey, fruits, figs, vanilla, citrus. Palate (90): powerful, oily. honey, wood, citrus, spices, raisins, white chocolate. Finish (90): longer than average. honey, citrus, raisins. So based on other whiskies I have already tasted I rate this Benriach Caskstrength and Carry on with 90 points over 100. A great whiskies. Highly recommended. When I think of peat almost automatically I think of Islay whiskies ( and if you don’t you should read this article! ) but there is lots of peat outside that little island. Benriach, that now owns too Glendronach and Glenglassaugh distilleries, has had a stormy past with periods of time closed until it was rescued and reopened in 2004. Since that year we have seen lots of different aged and finished Benriach whiskies, in particular the whisky we review today, Arumaticus, is part of a series of 12 years old peated whiskies aged in different cask types: Importanticus Fumosus, Aromaticus Fumosus and Heredotus. Benriach Arumaticus has been aged in Dark rum casks for twelve years. As the name suggests, this is a peated Benriach that's been finished in a rum cask. Nose (91): more than average. peat, honey, citrus, earth, fruits. Palate (89): powerful, oily. peat, honey, earth, citrus, fruits, coffee. Finish (90): longer than average. peat, earth, honey. So based on other whiskies I have already tasted I rate this BenRiach Arumaticus 12 Year Old (Dark Rum Finish) with 90 points over 100. When I think of peat almost automatically I think of Islay whiskies ( and if you don’t you should read this article! ) but there is lots of peat outside that little Scotch island. Benriach, that now owns too Glendronach and Glenglassaugh distilleries, has had a stormy past with periods of time closed until it was rescued and reopened in 2004. 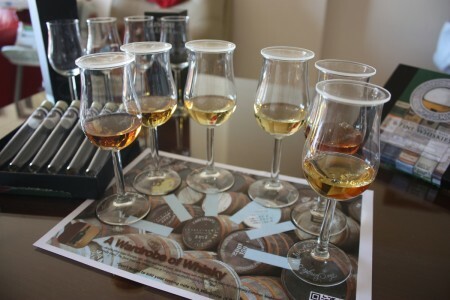 Since that year we have seen lots of different aged and finished Benriach whiskies, in particular the whisky we review today, Heredotus, is part of a series of 12 years old peated whiskies aged in different cask types: Importanticus Fumosus, Aromaticus Fumosus and Heredotus Fumosus. 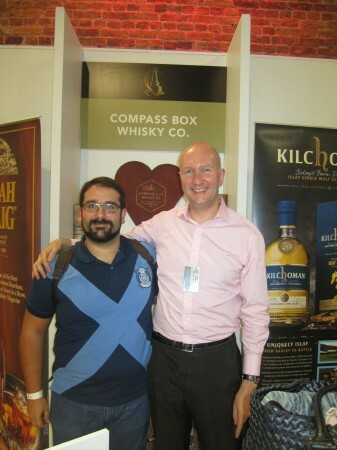 Benriach Heredotus has been aged in PX casks for twelve years. Palate (89): powerful, oily. peat, honey, citrus, wood, cocoa, spices. So based on other whiskies I have already tasted I rate this Benriach 12 year Heredotus Fumosus with 89 points over 100. Winner of a Bronze Medal at the 2005 International Wine and Spirits Competition, this 12-year old from the BenRiach distillery bettered itself the following year, taking home a Silver. Nose (76): inexistent. light, subtle, floral, citrus, pepper, vanilla, pears. First nosing data is innacurate as the previous tasting sheet lacked of this field. Palate (88): . sweet, wood, spices, tobacco, a little citrus, floral. Bouquet data is innacurate as the previous tasting sheet lacked of this field. Finish (84): no finish. citrus, sweet, floral. Finish length is innacurate as the previous tasting sheet lacked of this field. So based on other whiskies I have already tasted I rate this Benriach 12 year with 83 points over 100.